Back in 1990 when John Wesley Shipp suited up to be a TV version of The Flash, his costume looked exactly like something out of the comic books of the time. It also looked downright impossible to run in. 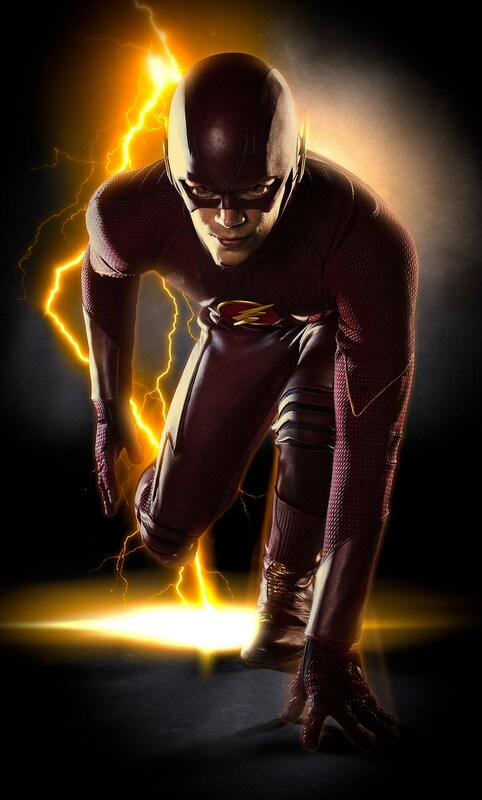 The new Flash series on The CW starring Grant Gustin looks to be striking something of a balance between fealty for the look of the source material and functionality in the first image of the full suit released Tuesday by DC comics. Check out the full image after the jump. The slits at the knees are a nice touch, and the material is an interesting mix of the athletic wear lots of movie and TV superheroes are wearing these days and a sort of leathery stuff. Of course, I wouldn't be me if I didn't have a few quibbles (Why does the red have to be so dark? What's with his weird body positioning? ), but it mostly looks pretty good. Pilot director and executive producer David Nutter had this to say about the TV Flash's duds: "I hope the fans who treasure the character are as excited as we are by what costume designer Colleen Atwood has achieved with this latest version of The Flash’s iconic suit." The Flash is poised to debut on The CW later this year -- spinning off from an appearance on Arrow -- with Gustin in the lead role. The pilot will be written by Greg Berlanti, Andrew Kreisberg and Geoff Johns. Other cast members include Shipp, Candice Patton, Tom Kavanaugh, Michelle Harrison and Jesse L. Martin.